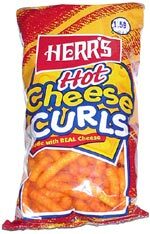 Taste test: These are good hot curls. 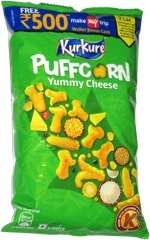 They’re not megasuperhot or anything (like Vitner’s curls), but they’re reasonably hot and quite tasty. The heat does grow on you a bit as you eat more and more of these, but it’s moderate enough that you should be able to eat a lot of these.